Carried out by the expert team at your local Lanes depot, septic tank emptying costs include the use of both powerful vacuumation and tankering equipment, as well as Lanes’ status as registered waste handlers to carry out septic tank and cesspit emptying efficiently and responsibly. 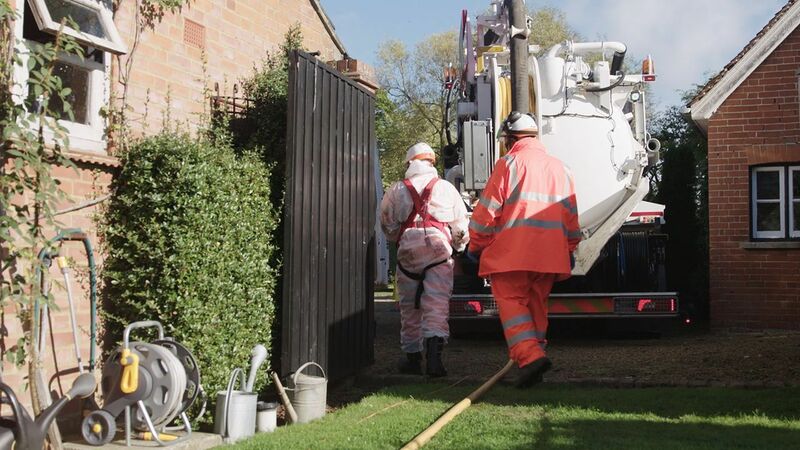 More often than not, commercial customers follow up septic tank emptying work with a thorough septic tank clean – jet vaccing all of the lines into the tank, checking and, if necessary, clearing the soakaway safely and efficiently. In exceptional circumstances, we are even able to carry out man-entry cleans of appropriately-sized tanks. With either service, our status as registered waste handlers, and our years of experience in this exact area should be a source of constant reassurance. With this, we make sure that any detritus that builds up from a septic tank emptying or cleaning job is only ever taken to a reputable, registered waste disposal site. Further, we will also take care of all necessary paperwork associated with these operations. All you need to do on your end is be aware of your septic tank and arrange appointments accordingly – we would recommend annual sessions at the very least.